Google has revealed eye-popping ideas for a redesign of its California headquarters that symbolize how far the company wants to move beyond its core search business. Plans submitted Friday to the Mountain View City Council include lightweight block-like structures—not stationary concrete buildings—that can be moved around as the company invests in new product areas. These areas now include self-driving cars, solar-powered drones and robots. Google’s self-driving car team, for instance, has different needs than search engineers, the company said in revealing its plans. On top of those modular structures would be translucent canopies that can control the climate inside while letting in natural light and air. The canopies would free the spaces from traditional limitations like walls, windows and roofs. 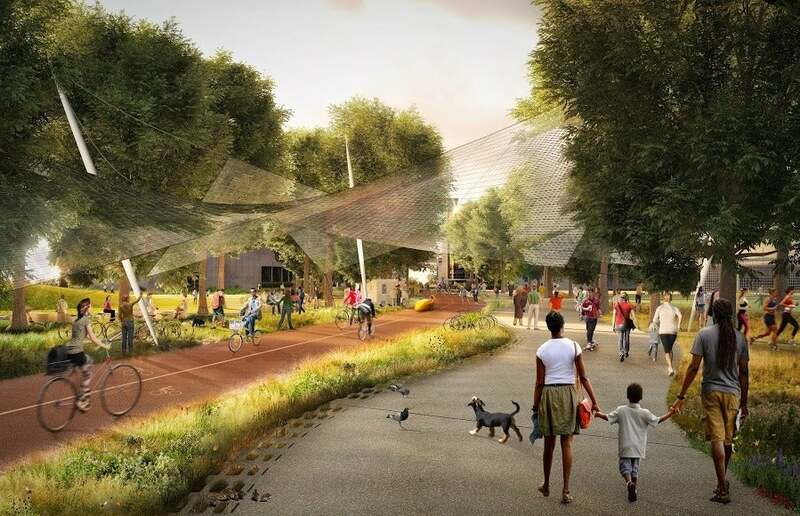 It’s not hard to imagine Google’s future campus serving as a playground for the company’s pursuits outside of search. 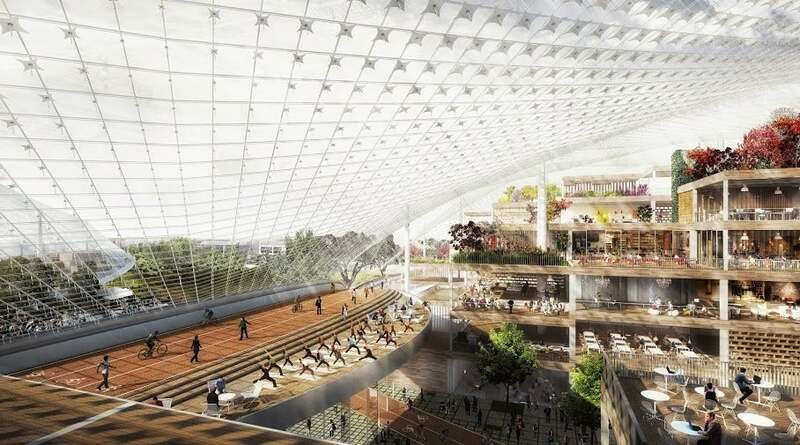 Plus, it sounds like Google is going for something like a futuristic city for its thousands of employees and local residents. The company is already known for its on-campus perks encouraging employees to maximize their time on campus, but the new plans elevate that concept. Also, a new structure would consolidate parking, while underutilized areas will host “native ecosystems,” including wetlands and re-integrated oak trees, the company said. Of course, this all has to be approved by the Mountain View City Council, and that could take a year or longer. Google already faces some pushback from local residents who haven’t been happy with the rising traffic congestion and booming housing prices tied to the company’s growth. To be approved, Google’s plans must include a proposal for improving traffic conditions, a spokeswoman for the city council said Friday. The plans, if approved, would increase Google’s square footage by the millions in the North Bayshore area of Mountain View, California. Meanwhile, other Silicon Valley giants like Apple and Facebook have plans of their own for new or expanded campuses. 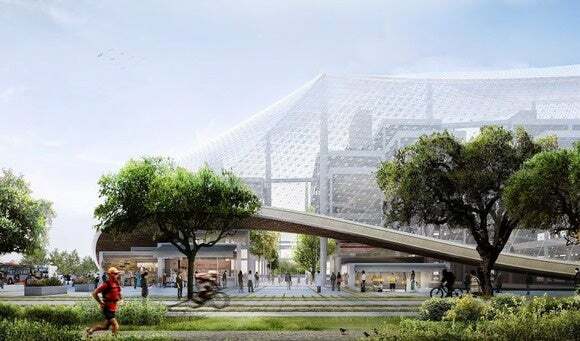 Apple is planning a new headquarters resembling a spaceship in nearby Cupertino, while Facebook is building an addition designed by architect Frank Gehry. Take a look at the pictures. The concepts mark the first time Google has designed offices from scratch. The plans were developed by Danish architect Bjarke Ingels and English designer Thomas Heatherwick.